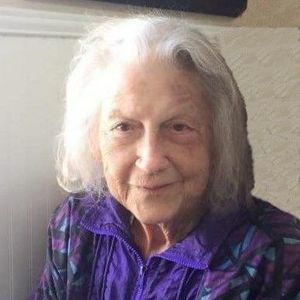 Carolyn "Carol" Joan Henderson, age 85 of Springfield, Louisiana, passed away on Sunday, March 10, 2019, in Slidell Memorial Hospital with her family by her side. She was born on Wednesday, August 30, 1933, in Hattiesburg, Mississippi, to Dudley and Hazel King Brumfield. Carol enjoyed life and loved reading, genealogy, feeding the birds (especially hummingbirds), gardening, and boating, but she especially loved spending time with her grandkids, great grandkids and family. Carol is survived by her loving husband of 66 years, Roy Robertson Henderson, Jr., her daughter, Anita Henderson, her sons, Ronny Henderson and his wife Cindy, Roy "Rick" Robertson Henderson III and his wife Susan and Kevin Ray Henderson, Sr. and his wife Donna, her grandchildren, Scott Henderson and his wife Kaylin, Justin Henderson and his fiancé Baleigh, Amy Shaw and her husband Gavin, Jessica Berthelot, Kevin Henderson, Jr. and his wife Jennifer, Bradley Henderson and his wife Debby and Danielle Henderson, her great grandchildren, Josie Berthelot, Tucker Berthelot, Joseph Shaw, Ruby Shaw, Avery Shaw, Kaylee Henderson, Ella Grace Henderson and Emmitt Henderson, her sisters, Eva Timbrook and Peggy Hudson and her husband Charlie, also many nieces, nephews and close friends. Carol is preceded in death by her parents, Dudley and Hazel King Brumfield, her great granddaughter, Rylee Grace Henderson, her sister, Winnie Nell Querbes and her brother, James Paul Brumfield. A Memorial Visitation for Carol will be held on Wednesday, March 13, 2019 from 9:00 am until 11:00 am at The Mission Church in Hammond. A memorial Service Celebrating Carol's Life will immediately follow visitation at 11:00 am in the church. Carol's guest book can be viewed at www.harrymckneely.com. Mr. Roy , Ray, Donna, and all of Ms. Carolyn's family, So sorry and sad to hear about Carolyn. Please know I am thinking of all of you and care about you. We were neighbors for so many years on the river! I am sending my heartfelt condolences for your great loss. Know that you all are in my prayers and I pray that GOD comforts you and keep you in your time of bereavement. Our heart felt prayers are with all the Hendersons. I have soooo many fond memories as a child and an adult spending time with this precious family. Aunt Carol will alway have a special place in my heart. To a wonderful Aunt who always smiled, had a great sense of humor, loved her sisters and brother...actually all family members and willing to take a bunch of crazy Brumfield's in her abode and made us feel welcomed and at home!! Uncle Roy, Anita, Ricky, Ronnie, Ray and extended family members, our condolences, thoughts and prayers are with you all!! We love you all and will always cherish our memories with Aunt Carolyn and her wonderful family!! Dear family Willie and I would like to express our love and sympathy to each of you. Know you all are in our thoughts and prayers. My sincere condolences to Ronnie, Ray, Ricky, Anita and Mr. Roy(Cookie Man) for your loss. Such great memories from my high school days with Ray and Ronnie. She and Mr. Roy always tried to keep us straight. She will be missed. Prayers to all. Sending heartfelt condolences to the family for your great loss. Your family was blessed to have shared so many years and memories with your dear Mrs. Carol. May God provide the needed comfort and support from relatives and friends during your time of bereavement.